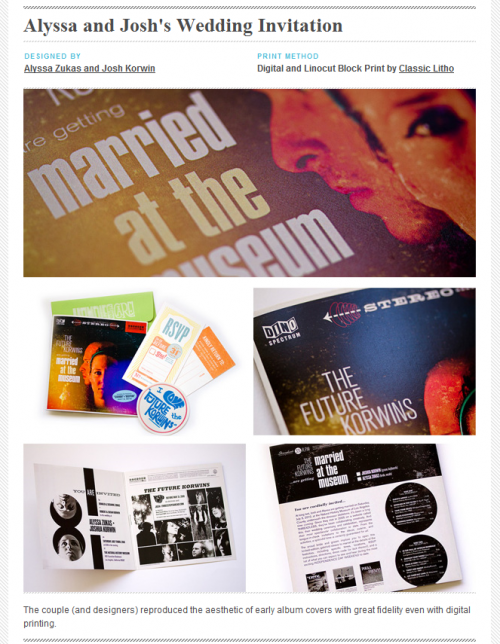 We just found out from a fellow Kernie that our wedding invitations were chosen as being among the top twenty four FPO (For Print Only) entries of 2010. A fantastic way to end the year, methinks. Thank you, Bryony and Armin!